Lucy Davis got an early start, riding as soon as she could walk and taking lessons by the age of five. It was a natural progression for her to take up riding early on as her grandfather Robert Barron Frieze works in the horse racing industry. Lucy earned great success on the West Coast of the United States, earning Grand Prix victories at HITS as well as Del Mar and Blenheim Horse shows. Lucy earned international acclaim in 2008 when she successfully competed at the Young Rider and Junior Championships. In 2010, aged 17, she won the Buenes Aires Nations Cup with Team USA in along with fellow Longines Global Champions Tour rider Saer Coulter. 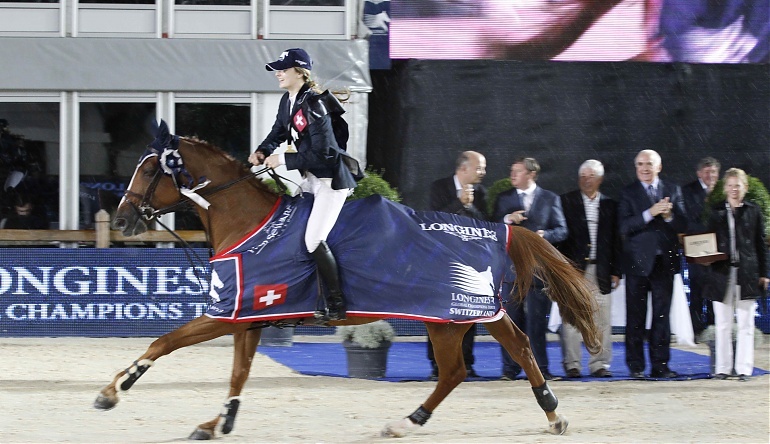 As part of Team USA, Lucy won the Consolation Class at the 2013 Barcelona Nations Cup Final. Lucy also collected top three placing in World Cup Qualifiers in Califonia and Washington during 2013. Lucy trains with Meredith Michaels-Beerbaum and Markus Beerbaum, along with fellow Californian Saer Coulter.